Heeey everyone! So, this has been a week. First things first, we went to a local nerdy craft fair that my friend ran in conjunction with our local comic book store chain to raise money for the Ottawa Food Cupboard. Entry was a minimum $5 entry fee at the door or two canned goods, and there was also a fun silent auction that I managed to win three things from, mwahaha. Cory flexed his ‘SALE FACE‘ muscles, and we met plenty of cool, talented people and got to see some familiar faces. Aaaand then when we got home from it I caught a crummy cold, which cleared up pretty quickly but was immediately followed by shattering one of my teeth by lightly scratching it with my finger what the hell. I’ve spent the last couple days scrambling around like an idiot and fearing my first trip to the dentist in 11 years, which happened yesterday morning. Both the tooth I shattered and one that I cracked while pregnant that I sort of forgot about are going to have to be removed and completely replaced by implants, and it’s going to cost me $4k because of course it is. Instead of typing anymore about this, instead just imagine me and my super cool new blue hair unintelligibly screaming in terror and foaming at the mouth. Anyhow, on a less depressing note, I’ve posted a preview of the author’s choice wallpaper (Ethma as a magical girl? What?) 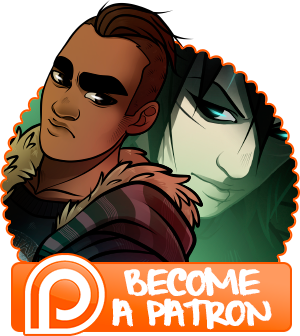 along with a couple of character design sketches of both Ethma and Noh as magical girls up on patreon, as well as a preview of the spring themed Kait wallpaper that I have abandoned, with plans of re-doing it from scratch as soon as I wake up today alongside a new batch of pages. 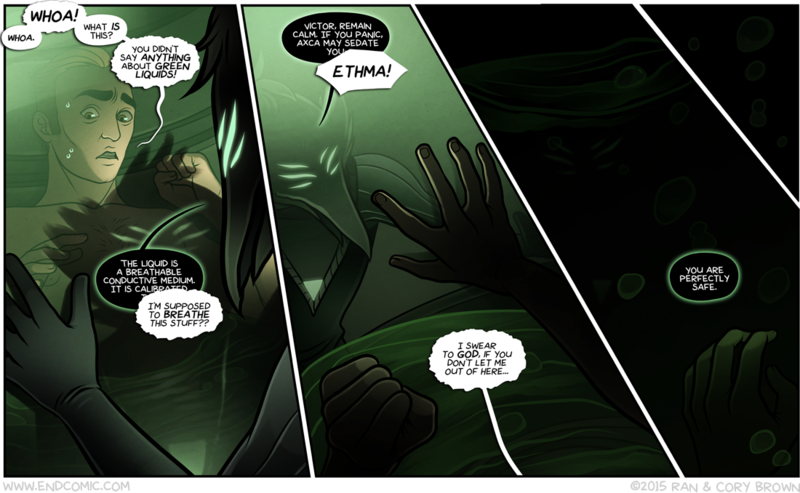 Neither of them are coloured, though the Ethma one is flatted. Vote for the character you would like to see on a wallpaper or art! We’ve picked ten at random out of a hat. Vote for what you want them to be drawn as. There are ten options here, as well. The winning character will will be drawn in the winning style. No results will be viewable until the matchups are announced to keep people from trying to pad votes, though I’m reminding you that I remove all duplicate votes. The matching pair will be announced April 24th, which is a Friday update day.